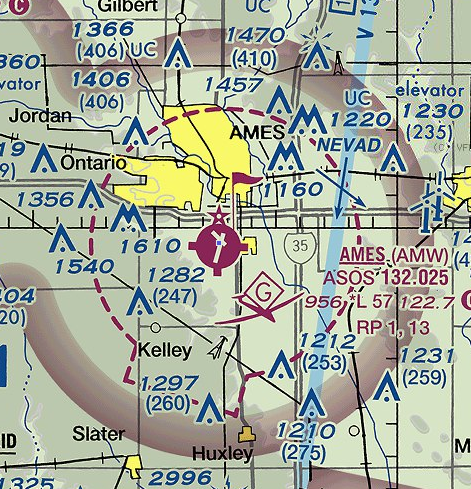 The Half Fast Flying Adventures hangar is based at the Ames, Iowa, airport (KAMW). 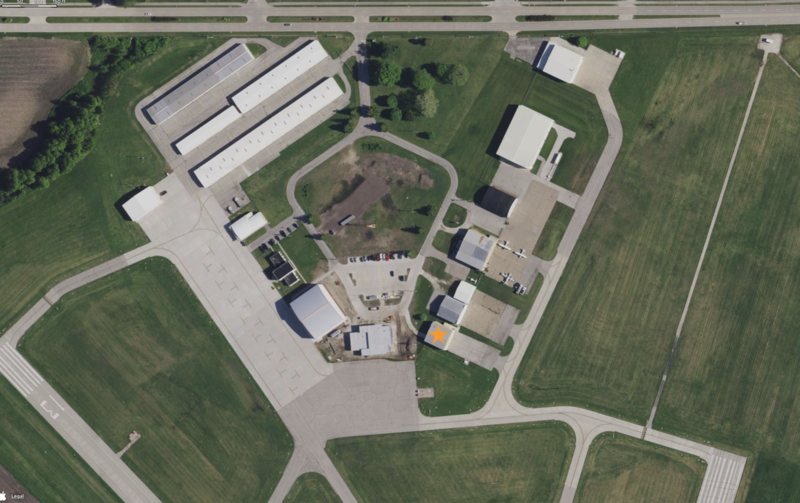 We are a 60'x60' gold hangar on the southern end of the private hangars (just east of the FBO, Hertz, and the gazebo). When the weather is warm, if the garage door is open, we're open. In colder weather, if the front door is unlocked, we're there. We have parking for 5 cars, with more available at the airport. We are the gold hangar on the south end of the east-side multi-colored private hangars (i.e. 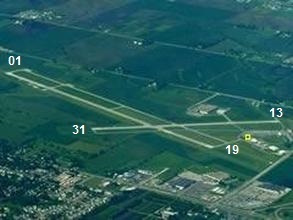 we are the hangar closest to the runways). You'll see a large 3-bladed DC-4 prop yard-art outside our hangar. We're a breeze to get to by air. Fly into KAMW. When you arrive at the airport, simply taxi to our gold hangar, which is the first hangar you'll reach off runway 01/19.